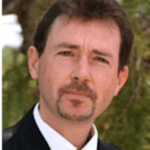 Dr. Philippe Scotto has been for the past 8 years, a Consultant Coach Trainer at La Taureau Corporation, where he offers training and advice on organization and management. His previous professional experience includes a Director position at Acropolis Massena Batiment; a data project Manager office at IAEA for 6 years; and a Consultant job at Université de Toulon Var. His educational background is extensive and starts from a Master’s in Physics & Chemistry at Université Nice Sophia Antipolis. Afterwards, he received a Master’s degree in Management and Competitive Intelligence at Skema (previously CERAM) Sophia Antipolis, and another Master’s degree in Information Technologies & Communication at Université de Toulon where he graduated with highest honours. Finally, he obtained his PhD in Management & IT Communication from Université de Toulon where he received the congratulation of the jury, and participated in the Nobel Peace Prize of 2005.